This episode of Art History for All contains discussion of starvation, cannibalism, and other traumatic events. Also there’s a swear. Listener discretion is advised. In the past decade, you’ve probably seen a lot of footage and photographs of disasters, both man-made and natural. Fires, hurricanes, terrorist attacks, mass shootings… each form of disaster brings along with it pain and trauma, and in the modern age that pain and trauma is played out in front of the media, whether the survivors and their relatives want it to or not. When the disaster is a result of incompetent leadership, media scrutiny becomes even more highly-charged, and this was true even before we had TV and Internet outlets to look to for our information. In 1816, the frigate Medusa, along with several other ships, set sail to re-establish a French colonial foothold in Senegal. It never reached its destination, instead running aground on a poorly mapped sand bank and setting in motion events which would affect French politics for years to come. The wreck of the Medusa and its gruesome aftermath became the subject of fiction and non-fiction narratives, and also served as the basis for a monumental painting by Théodore Géricault, The Raft of the Medusa, which is still a major attraction in the Louvre today. In order to discuss the painting, of course, I need to discuss the disaster itself, which I’ll try to keep to the essential details, as what happened to the passengers and crew of the Medusa is pretty disturbing stuff. Most of my information on the gory details of the wreck comes from Jonathan Miles’s book Medusa: The Shipwreck, The Scandal, The Masterpiece, and I recommend reading it if you really want to get deep into things. It also provides some good background on Géricault and his painting, so you get some art history in there along with your… cannibalism. When it comes to Géricault’s painting, there’s also a lot to talk about in terms of style, composition, and its relevance to the 21st century. What does Géricault’s Raft say about politics, colonialism, or the legacy of disaster? Like all the art I cover on this podcast, it’s not possible to get through all of its facets in a single episode, but we can at least begin the conversation. So batten down the hatches, and let’s get to it! A description of The Raft of the Medusa, or Le Radeau de la Méduse, by Théodore Géricault, oil on canvas, 1819. The painting is 16 by 23.5 feet. A raft piled with bodies, both alive and dead, fills the bulk of that space. The raft is made up of wooden planks, with a mast and sail that project at a slight angle just left of center. The sail is stretched taut, filled by the wind and partially blocking our view of a cresting wave at the far left. On the surface of the raft in the foreground are pale dead bodies, with one body at the lower right hanging halfway off the raft into the water. More bodies can be seen further back on the raft, some serving as props for live people to lean against, like the contemplative gray-haired man in a red cloak left of center. Of those alive, most are rushing toward the back of the raft, right of center. Some of them are clothed, some unclothed, but they all are rushing to join the most prominent figure in the painting—a black man, shirtless, standing atop a barrel and waving a piece of cloth at a tiny speck in the distance that might be a ship. The other figures on the raft reach toward him, grab hold of him, or point toward the speck themselves, indicating a possible source of rescue. But the speck is far off, under a forbidding, cloud-filled sky and across a long expanse of choppy waters. The painting is largely monochromatic, dominated by brown and beige tones, with some instances of red among the survivors’ clothing and the darkening sky. The sea itself is more gray than blue, and the lighting is dramatic, creating deep shadows on the bodies, both living and dead, and on the raft itself. First, a little primer on French history. In late eighteenth and early nineteenth century France, politics were pretty much a disaster most of the time, and when they weren’t a disaster, there was a faction that was determined to make them a disaster. Beginning in 1789, the French people revolted against and overthrew the reigning Bourbon family and established a Republic that rejected anything remotely royalist in favor of philosophical principles promoted by the Enlightenment, like reason and logic. This republic went downhill fairly quickly, as republics go, and in 1804 the Corsica-born First Consul of France, Napoleon Bonaparte, crowned himself Emperor of France. Just ten years later, after undertaking a campaign to conquer as much of Europe as he could, Napoleon was defeated and removed from the throne, and the previously exiled Bourbon successor, Louis XVIII, took control of the throne. A year later, in 1815, Napoleon escaped from his exile on the island of Elba and took hold of France again for a hundred days, only to be defeated at the Battle of Waterloo and exiled again, this time to the island of St. Helena, off the coast of West Africa. Thus, it was Louis XVIII who was on the throne when the Medusa set sail in 1816, and it was his government’s appointments of men loyal to the Bourbons to command positions in the French Navy that directly led to the Medusa’s wreck. The Medusa was intended to bring soldiers and settlers from France to St. Louis in Senegal, in order to re-establish a colonial foothold there after the region had been largely taken over by the British. The ship’s mission was thus in and of itself morally questionable: the entire enterprise of colonialism was based around pushing indigenous peoples out of their lands in order to profit from the crops and natural resources produced in those lands, and, especially in the case of Africa, to profit from the exploitation and enslavement of those displaced peoples. France had briefly outlawed slavery under the Republic, but Napoleon had brought it back under his reign, and while the Medusa was not intended to directly traffic slaves, its colonialist mission could and did directly contribute to the transatlantic slave trade. But I’m getting ahead of myself. The command of the Medusa was given to a man named Chaumareys, a vestige of the ancien régime, the old guard of aristocrats loyal to the Bourbons. He had had some experience in seafaring, but hadn’t been to sea in 25 years, and had gained his position in part by arguing that if he had been to sea regularly in those 25 years, he would have attained command of a vessel. The crew was not impressed by him, especially given that they were to be sailing in poorly charted waters that required more than average navigational skills. The voyage was marked by disorder and bad luck before it even set sail, with navigational instruments breaking and requiring repairs, and the ship itself “in disarray” when the civilian colonists boarded. Captain Chaumareys’s lack of experience and control over his crew led him to trust a civilian for navigational advice rather than the sailors under his command. As time wore on, the Medusa consistently lost sight of some of its accompanying supply ships, and Chaumareys consistently either forgot or refused to take soundings to measure the depth of the water. A lack of awareness of depth meant that Chaumareys was taken by surprise by the revelation that the ship was heading toward a sand bank, and it was too late to correct course. —The Governor is abandoning the raft. From the sinking platform, it was clear what was happening. The sudden confusion caused by the manoeuvres to avert the collision gave [Barge commander Lieutenant] Reynaud his chance. Standing up in the stern of the Governor’s Barge, he raised his arm like an executioner. The hatchet in his hand came down in hard, repeated blows on the thick rope, hacking until he had severed their last threads of hope. —Get hold of it again. In working on this episode, I found it surprisingly difficult to write—not just because of the gruesome subject matter and the loss of life, but also because of the sheer complexity of the scandal that followed when news of the wreck and its aftermath finally reached France. Again, I highly recommend you read Jonathan Miles’s book for all the ins and outs of the social and political fallout. Suffice it to say, this was huge. Like, an American presidential candidate working to benefit foreign interests huge. So when young painter Théodore Géricault returned to France right around the time the Medusa story was breaking, it made sense for him to lend his dramatic sensibilities to depicting a scene from the saga. Géricault was deeply invested in the work, and conducted a great deal of research and preliminary study before even settling on which episode of the tragedy he would depict. He became friends with one of the survivors, Alexandre Corréard, whose published account of the wreck and its aftermath brought Chaumareys’s incompetence and the horrors of the raft to light. Géricault also spent a great deal of time studying both cadavers and severed limbs, not just at the Paris morgue but also at his own apartment. He did draw from live models for some of the figures in the painting, with his protegé Eugène Delacroix modeling for the face-down man in the center foreground, and survivor Corréard posing for the pointing man at the back of the raft. The painting debuted at the 1819 Paris Salon under a different title than the one we use today—the exhibition organizers, presumably not wanting to rock the boat with the monarchy, called it The Scene of the Shipwreck, but everyone knew what it really depicted. As Miles emphasizes, the painting was not only politically radical, but also stylistically radical, as it was an example of a fairly new style known as Romanticism. The Romantic is often closely aligned with the Gothic, a largely British literary movement in the late eighteenth and early nineteenth centuries that I discussed previously in Episode 9, in relation to Henry Fuseli’s The Nightmare. As the eighteenth century ended and the nineteenth began, and the horrors of the French Revolution revealed what could happen when a dedication to Enlightenment ideals was taken too far, the tide of European philosophy and aesthetics turned away from reason, logic, and order, and toward emotion, drama, and uncertainty. These two poles crop up again and again in European history—the logic of the eighteenth century itself could be viewed as a reaction against the Baroque drama of the seventeenth century. Now, after the fall of Napoleon, under whose reign the crisp and orderly Neoclassical style was all the rage, Romanticism pushed back in earnest against Neoclassicism’s stability with theatricality and spectacle. Géricault’s depiction of the raft is unmistakably Romantic—and, to be clear, Romanticism has almost nothing to do with what we call romantic today. In Géricault’s time, that which was Romantic was modern rather than classical, grounded in feeling rather than logic, and more interested in the majesty of nature than of human civilization. The scene Géricault depicts is disordered, and figures are spilling off the raft and out of the image, heads and limbs cut off by the frame. There is almost no clear, whole view of anything, not the raft covered in bodies, nor the sea almost entirely blocked by the raft, nor the tiny speck of a ship in the distance. The figures extend far into the foreground, making the viewer feel physically close to their suffering, unable to escape the horror of it. This closeness to the raft makes the Argus in the distance feel even further away, adding to the drama of the entire scene. This is far from some sterile episode from a time far in the past—it is immediate, it is unmistakably modern, and it is calculated to play on the viewer’s emotions. The criticisms of Géricault’s Raft at its first public exhibition demonstrate how, even two hundred years ago, the question of how to depict disaster sparked controversy. Should the dignity of the victims and survivors be preserved, and if so, how? Should the true extent of the horror and gore be shown, or should it be avoided? What is an acceptable form of visual appeal to an audience’s sense of empathy, and what is gratuitous? These issues were much more fraught when the painting was displayed in Paris than when it was displayed in London a year later. The British had latched on to the Medusa disaster as evidence of French incompetence and, by contrast, British superiority, both in terms of naval discipline and moral fiber. The exhibition of the painting in London drew 50,000 visitors, adding to the international interest in the Medusa disaster stirred by Corréard and Savigny’s joint narrative and by plays and other media based around the subject. What was a controversial, politically charged tragedy for the French became something of a source of tragic entertainment and schadenfreude for the British. Géricault’s painting was not actually purchased by anyone until after his 1824 death, when it became a part of the Louvre’s collection. It has remained there ever since—except, of course, for its removal during WWII along with many other works to safeguard them against Nazi looting. The remains of the actual Medusa itself were not pinpointed until 1960, and not physically studied until 1980, at which time it was discovered that 90,000 francs that were supposed to have been aboard were unaccounted for. The Medusa, like many disasters, has continued to reveal new truths and pose new questions long after the primary fallout was resolved. The painting itself, enormous as it is, is still a major attraction in the Louvre museum, and has also been used as a site of institutional critique and cultural commentary. In 2018, an activist group called Libérons le Louvre staged a “die-in” in front of Géricault’s Raft that prompted security to evacuate the gallery in which it hangs. Libérons le Louvre opposes the Louvre’s sponsorship by oil and gas company Total, and staged the performance in order to “push the museum to react,” according to one member of the collective. As protesters dressed in all black fell to the floor of the gallery in faux-death, they listed some of the problems that Total’s activities have caused, from “drying up of rivers” to “indigenous populations threatened.” Other organizations have staged similar protests in a number of Western museums, protesting their sponsorship by fossil fuel corporations, as in a number of mock-oil-spill performances at the UK’s Tate museums by a group called Liberate Tate. But there is a special significance to the choice to protest in front of Géricault’s Raft—in a statement, Libérons le Louvre explained that they chose to protest in front of the painting because it, quote, “evokes images of displaced people of the 21st century.” End quote. For Libérons le Louvre, those people are most likely those who have been displaced by activities like fracking and drilling. But the painting also calls to mind Syrian refugees crossing the Mediterranean, or Central American refugees crossing rivers and borders to reach the United States. And just like the moment Géricault depicts in his painting, the hope for safety and resolution that these refugees experience may be brief—just as the Argus did not catch sight of the raft when it was first in range, forcing the survivors to wait longer for rescue, refugees may find their hopes for safety dashed by obscure immigration systems and xenophobic politics. The video’s shots of Jay-Z standing in front of Géricault’s Raft are in part a testament to how far both the Carters specifically and black people more broadly have come since 1819. Yet this testament exists alongside Barrow’s point that the Raft in particular is a strange choice of image to include in a celebratory song about success, especially black success. In response to the video and the issues it raises, Kimberly Drew, former social media manager of the Met Museum in New York and the founder of the Tumblr Black Contemporary Art, Tweeted that, quote, “yes, it affirms that we *belong* in these spaces [white-centric museums], but we have to remain curious about this choice. These performances could have been hosted at studio museum, project row houses, art&practice, [the California African American Museum], etc. But these white spaces are the ones that we see…” End quote. Drew’s point complicates both our view of the video and of Géricault’s Raft—why do we only seem to recognize revolutionary, progressive actions when they occur in predominantly white contexts? Yes, confronting white-centric institutions and societies directly is important, but so is progressive action in contexts where marginalized groups are the majority or can more completely control the narrative surrounding that action. As I’ve said before, the context surrounding Géricault’s Raft is deeply fraught, and cannot be reduced to a single progressive interpretation, not least because it can easily be read as capitalizing on human suffering. Most artworks are more complex than they first appear, but this seems doubly true for The Raft of the Medusa. There are few easy answers to be found in this painting or its context, and as such, I encourage you to take what I’ve discussed here and mull the image over yourself, if you have the time. Keep the conversation around Géricault’s Raft going, because it doesn’t seem to be losing its relevance any time soon. Thanks so much for listening to Art History for All! A transcript of this podcast, with links to images and citations, can be found at arthistoryforall.com. 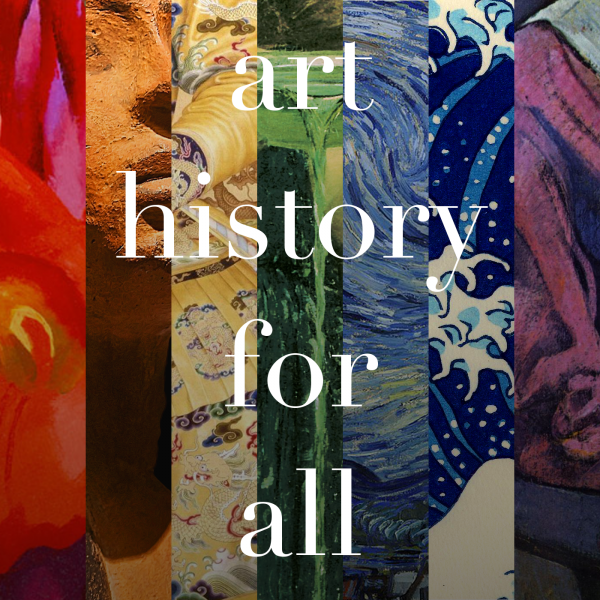 Updates about episodes and other fun artsy chatter can be found on our Twitter, @arthistory4all, with the number 4. Subscribe to us on your pod catcher of choice, and don’t forget to drop a rating and review, and tell your friends about us, too! If you really, REALLY like the podcast, please feel free to leave a tip on Ko-Fi, at ko-fi.com/arthistoryforall. This podcast was produced and narrated by me, Allyson Healey. The theme was composed by Bruce Healey. Credits for other background and interstitial music can be found in the podcast description or at the end of the transcript. This is our last European art episode for a little while, but we’ve got episodes on art from around the world coming your way on the last Monday of every month! Thanks so much for listening, and remember to look closely: you never know what you might see. Miles, Medusa: The Shipwreck, The Scandal, The Masterpiece (London: Jonathan Cape, 2007): 24-25. Beyoncé. “APES**T – THE CARTERS.” YouTube video, 6:05. 16 June 2018. https://www.youtube.com/watch?v=kbMqWXnpXcA. “Betrayal” by Lee Rosevere (via freemusicarchive.org). Licensed under a Creative Commons Attribution 4.0 License. “Puzzle Pieces” by Lee Rosevere (via freemusicarchive.org). Licensed under a Creative Commons Attribution 4.0 License. “Caught in the Beat” by Broke for Free (via freemusicarchive.org). Licensed under a Creative Commons Attribution 3.0 License.